If you live in California and you love wine, you probably have a wine cooler or a wine cellar. And if you don’t, well you oughta get one! But beware, owning a wine cooler or a wine cellar comes with responsibilities. There are two potential problems with owning a wine cooler or a wine cellar! If you are a member of a wine club, you conveniently receive a tasteful collection of wine every now and then, and the wine is carefully delivered to your front door. You really don’t have to do anything other than open the bottle once you receive it. And THAT is the danger. See, if you’re not careful, drinking wine that magically appears at your front door can become very mundane and uneventful. It becomes a fashionable habit that might turn you into a wine drinking machine! You run the risk of not caring about what you drink and the importance of pairing the wine with food. I don ‘t mean to come across as a wine snob but it is important to appreciate what you drink. Besides, you are missing out on the wine potential. You may be drinking your wine too early. Remember, wine gets better with age. Think of it as an investment for your tastebuds. Buy now, drink later. Most wine has an aging potential of 5 to 15 years, in some case 20+ years. Some people buy wine from grocery stores. It’s more limited but quite convenient. They buy just enough food AND wine for the whole week. The wine is never stored because it doesn’t need to be, and there’s always more where it came from: the grocery store. I mean, how easy is that? They might end up paying a little more for the wine but talk about convenience! With those practices, your wine cooler never gets full and runs empty most of the time. In some cases we might even miss a wine’s peak. And that’s never good. You put your heart and soul into aging a fine bottle and you miss the date. Waiting for the “right” occasion to open that special bottle is NOT the way to go. The bottle itself should dictate and schedule special occasions. Unless your mind can remember every single bottle in your wine cooler, I suggest a simple log sheet where you keep a list of your wine and when it must be enjoyed. No time for wine and you know you have problems! But it happens. And when that happens, the wine cooler gets too full. So there you have it. In order to avoid those problems, have a plan. Come up with a budget and design your personal wine strategy. I know I make it sound like starting a business but in a way, that is what it is. Wine shows character. It is a way of life. It is a venture, a hobby, and like everything else it needs time. 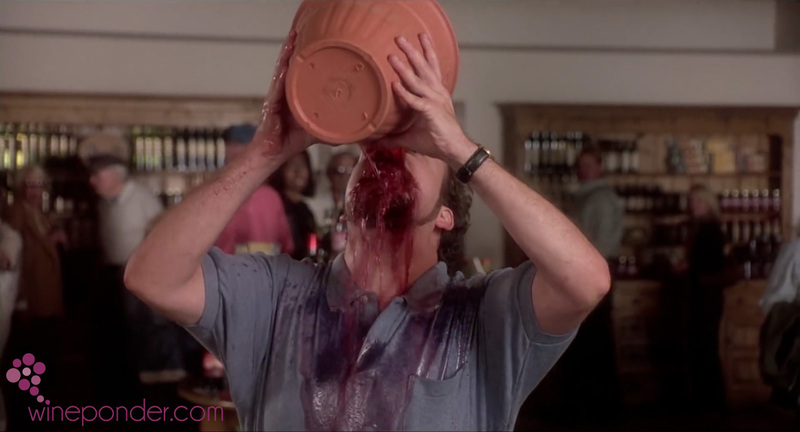 When done right, your wine drinking experience can increase exponentially. So get a wine cooler or a wine cellar and become the CEO of your own wine venture. I personally own an Edgestar, a single zone wine cooler with a capacity of 121 bottles. It has been worry-free and very stable. I’ve had it for 4 years and it is as solid as day one. I also own a Vinotemp, a dual zone wine cooler with a capacity of 200 bottles. I am especially happy about this one for the extra vertical room between the wooden shelves, allowing more space for those slightly larger bottles (generally Champagne, Pinot and Syrah bottles). Learn more from these 2 links below, or leave a comment if you have any questions. • Wine – A Good Investment? Great article, thanks for the insight. Wondering which type of cooler you have and what size… The two pictured above seem great but a little larger than what we need. Would love your opinion! The two wine coolers mentioned in the article are the ones I have. They are quite large. For smaller quantities of wine, I would still recommend Edgestar. They make a dual zone wine cooler with a capacity of storage capacity of 34 bottles. Still seems a little expensive at first blush but It is money well spent if you want to keep your wine safe. You’re buying peace of mind.